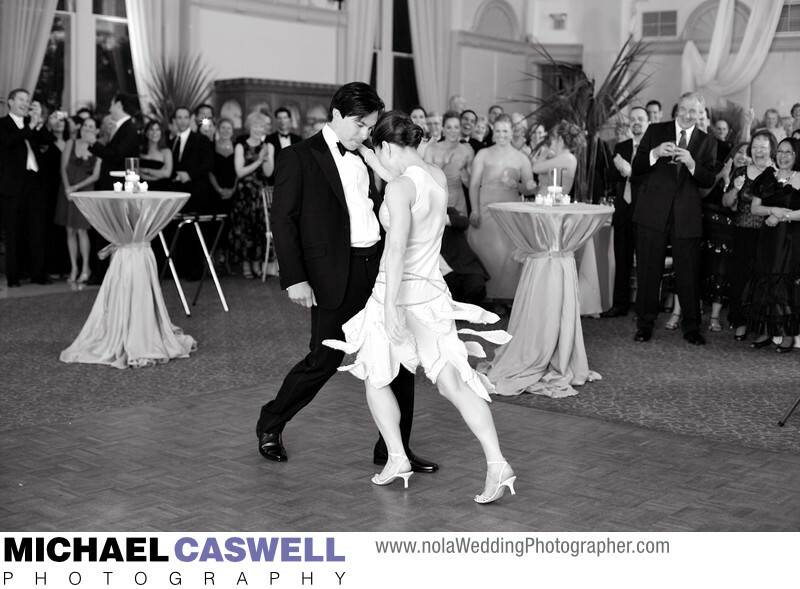 During their wedding reception at the New Orleans Board of Trade, this New York couple had an amazing first dance, intricately choreographed and perfectly performed in the venue's spacious ballroom. This fabulous event was coordinated by Unique Weddings in New Orleans. Upon arrival at the reception venue from Saint John the Baptist Church where the ceremony had taken place, the bride snuck away to the adjacent Saint James Hotel to secretly change into this dress shortly before the dance. This was a special surprise for her mother, as this was a dress that the bride's grandmother had worn long ago, and she did not know of the bride's plans to wear it for the first dance.